Dr. Ashok K.Behuria is a Fellow and Coordinator of the South Asia Centre at IDSA. 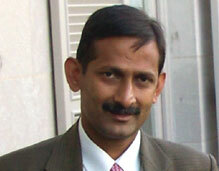 He is a Ph.D in International Relations from Jawaharlal Nehru University, New Delhi, India. He has worked on "India-Pakistan Relationship During the Eighties" for his Ph.D. He joined IDSA in 2003 and before that he worked as Assistant Director at the International Centre for Peace Studies, New Delhi. Dr.Behuria has also been Editor of International Studies, the prestigious research journal from Jawaharlal Nehru University, and has been in the Editorial Boards of Journal of Peace Studies and Strategic Analysis, the flagship journal from IDSA. He has taught at the University of Delhi and JamiaMilliaIslamia, New Delhi. He is a close observer of developments in South Asia and has been awarded the prestigious K Subrahmanyam Award for excellence in strategic studies for his work on Pakistan in 2009. He has published many research articles on strategic issues related to Pakistan, India-Pakistan relations, Sri Lanka, Nepal and South Asian security environment in Indian and foreign journals. He has edited several books on South Asia and continues with his research on internal politics in Pakistan, evolving strategic scenario in the Pak-Af region, radicalisation of religious discourse in the region, India’s engagement with the neighbourhood, regional security, and inter-state cooperation.